Before you start seriously looking at houses, you will need to get mortgage pre-approval from a lender. This pre-approval letter lets sellers know that you will most likely be able to secure the financing to back your offer. Note that being pre-qualified for a mortgage is not the same thing as being pre-approved. 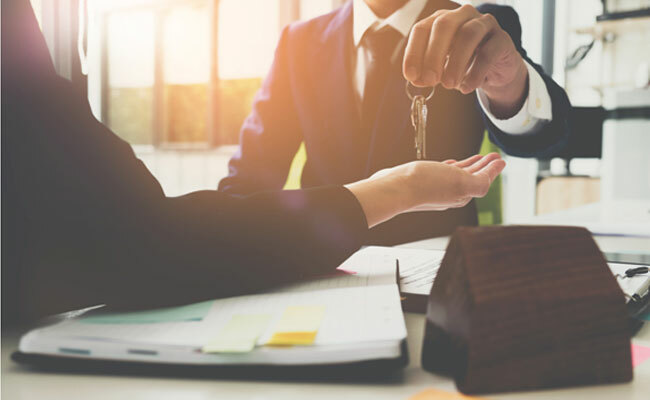 A pre-qualification process can help you set a baseline for your mortgage amount, but it is a much less in-depth process, meaning that lenders do not guarantee funding for pre-qualified buyers. This makes offers backed by a pre-approval letter more appealing to sellers than offers with no secured source of financing. The most important consideration for lenders is whether or not a buyer is likely to pay them back. In most cases, a credit score is a great indicator of whether or not a buyer is creditworthy. Lenders know this, so if you are looking to get pre-approved for a mortgage, expect to have your credit report pulled early on in the process. In order to minimize your interest rate and maximize the likelihood that you will be approved for a loan, it is recommended that you do everything you can to clean up your credit report before setting foot in a lender’s office. This means paying off any outstanding debts, including credit card debt and other debt such as auto loans. This will help to free up extra money in your monthly budget – money that, in the eyes of the lender, can be used towards your mortgage payments. The other two key things the lender will look at is your income and your assets. They will want to know that you will be able to secure the required down payment and cover the closing costs and other fees associated with the home purchase. Having a stable income and money in the bank helps to assure lenders that you will not default on your loan. Receiving pre-approval early on in the process can help you set a realistic budget. There is no point getting your heart set on a luxury property and then later finding out that you will not be able to afford the home. Your pre-approval letter will dictate your maximum budget, letting you know which homes are and are not attainable. Keep in mind that just because you are pre-approved for an amount, you do not need to spend this entire amount on a home. Many people find that taking out the maximum available amount for their mortgage will place a strain on their budget, making them “house poor.” This means that while they can technically afford their mortgage, it is difficult to save money for other leisure activities due to high taxes, homeowners insurance premiums, and monthly mortgage payments. Take a realistic look at your budget and these estimated costs before making a final decision about your target price range. To learn more about securing financing and finding a beautiful home in your price range, contact Francine McElhenny at 772.925.9587 or send an email to francine(at)francinekidder(dotted)com to get started.